Bottlegreen has gone to great lengths to keep our inquisitive spirit alive as we’ve grown, searching the world for the finest roots, fruits and botanicals. It’s reflected in the range of different flavours and novel combinations, as well as the unique techniques we use to keep our premium Adults drinks pure and natural. Every day we like to think about where in the world we can go next, to find new inspiration and new flavours. 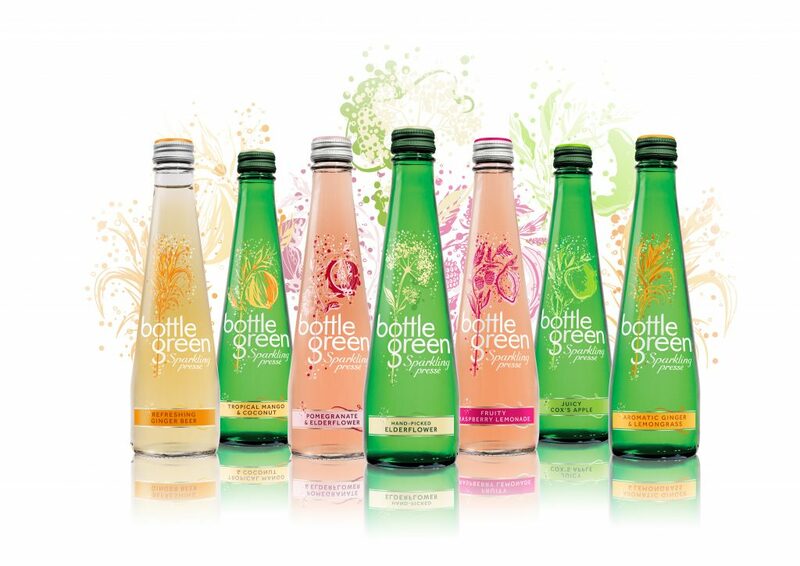 Bottlegreen are proud that we have managed to reduce the sugar across our range to below the sugar levy still without the use of any artificial colours or flavourings, while maintaining the same great taste. We will be displaying the full range of presses and will be showing our cordials as both a soft and alcoholic offering in Kilners. Come along to our stand to have the opportunity of entering our draw to win one of three Bottlegreen hampers.